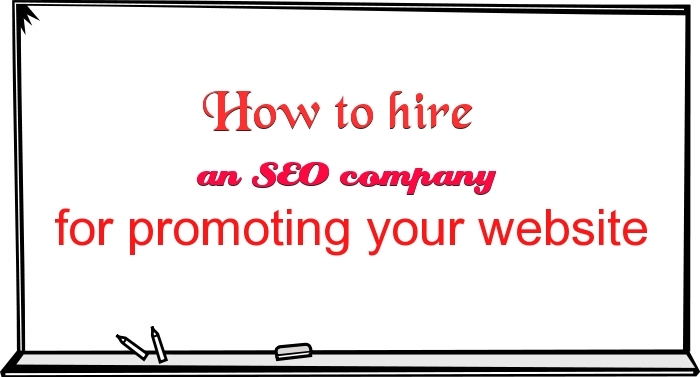 When you are making an intensive effort for achieving the top rank for your website you cannot afford the ignorance of selecting a right search engine marketing company for your campaign. It is a rather critical factor that can somehow affect the success and failure of your business. Selecting and hiring a right SEM company is the process that involves great care and consideration of certain points so that you can come up with a perfect SEM professional or agency to be part of your success story. Since the recent past, online marketing has gotten vertical. Each category of business is quite different from the others like product shopping, insurance, medical, travel, etc. It is highly recommended to look for one who is enough experience in your specific type of business. And if it is not possible due to extreme specialization of your category, then search for one who is engaged with the closely related one. Now, one thing to be cared a lot, not to hire someone who is also working with your competitors. It will not do any good for your business and can cause any conflict of interest in the industry. The functions and procedures are collaborative, exciting and rather tricky at the same time and as a team, the professions can produce some great outcomes of their efforts. No matter you want a small, mid-size and large SEM agency for your campaign, it is very essential that it has the bandwidth to interact with your business with a desirable closure. It is also important to ensure that the agency you are hiring is capable enough to work independently while having a nice collaboration with your internal team. When you are hiring a SEM agency, you are taking a key decision that is going to have a major effect on the future of your online status of your business. Quite similar to hiring an employee of your business, this selection also requires a satisfying reference check. Look for the right one in your vertical or the closest one. Have references from your friends and the well-wishers in the industry. You need to prepare a list of topics that you have to be assured about a SEM agency, you are going to choose for your campaign that includes, expertise, experience, attention, responsiveness, reputation, and results. Tools and technology are the major factors that can influence the functioning and final performance of a SEM agency. Also, the automation helps in scaling numerous simple as well as complex tasks. There is a common theory in the technical world that the most thoughtful and creative always go with the best technology. So while targeting an agency, deeply watch that what kind of technology they have adopted for their routine and specific tasks. What is preferred by your prospective SEM agency, a long-term contract or a short-term one? Is it the flat fee that they charge for their services? Is their fee based on the performance level or the results? You need to understand that which of the above terms is suitable to you and is the agency is ready to work on your terms. Now, let’s discuss the questions that you should ask while negotiating a prospective SEM agency. These are the basis that will help you to assure that the particular agency will meet your requirements and bring the decent amount of quality visitors to your site. What is your experience in search engine optimization and search engine marketing sector in the terms of the time period, the number of assignments held until the date and the specific fields of work? Are you an individual SEM service provider/consultant or you a part of the agency? What is the minimum time, you and your team spend online? What is your view about the search engine marketing forums? Do you participate or prefer to stay moderate for any such? If you a part of any such then give your username and also provide the links to your latest discussion that is notable one and can present your specific working style. Are you comfortable with sharing the named and details of the recently handled campaigns and their results? What was your role there? Are they still active? Are some of them inactive? If yes, then why? Can we contact them? What is your technical background, such as website designing experience, technical background, and the programming environment you are used to with? What are your specific SEM practices and techniques? Do you belong to the old school of SEO or emphasis on the experimenting something new each time? Do you also provide your services in search engine optimization? How can you balance both at the same time? Any practical example, or references to present your expertise. What is the potential for flexibility? If due to a change in circumstances, the changes become highly required, how will you manage it? Will you charge extra for this? If yes, then what will be the basis of it? What kind of assurance or the guarantee will you offer us? What is the scale to measure it? What is your method of reporting (website statistics, or the metrics)? How often will you provide the reports, monthly, in two months, quarterly or on the completion of the campaign? Are you comfortable with sharing live statistics? In case, we are not familiar with your reporting method, will you provide the consultation about interpreting the reports and analyze them? What about ROI or the return on investment? Is it the part of your service or you are going to charge additionally for it? Will you provide us the consultation in the relation of the process of determining the ROI? So, it was the guide to assist you in choosing a right SEM agency that can help you meet your targets and be a partner in your online marketing campaign. Along with the above-mentioned tips, and ideas, you need to use your conscious and guts while interviewing the SEM professional or any representative of such agency. I’ve been looking for a good marketing consultant, but I don’t know what to look for. I’m glad you talked about being able to look for a good minimum time requirement, and seeing what we can find. I’m going to have to do some looking into different business marketing options and figuring out what we can find!